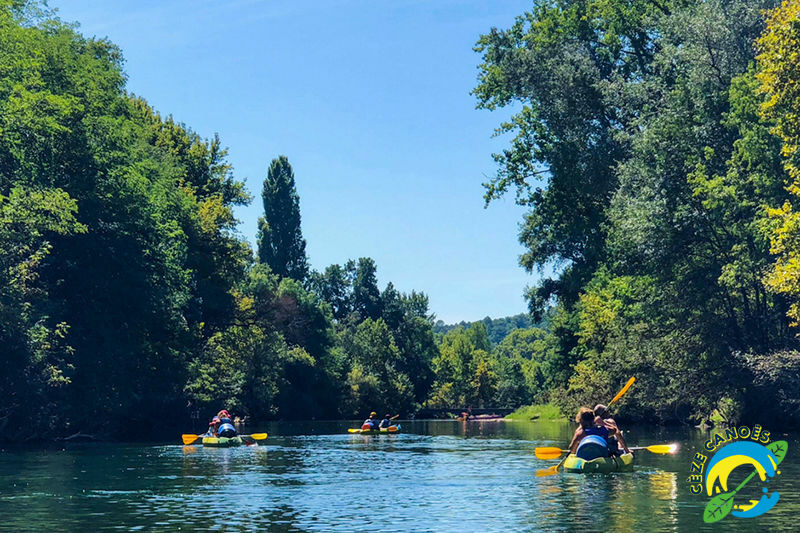 Rental canoe kayak Ardèche-Gard, Goudargues. Descent of 14km (3h30 to 4h non-stop, 5 to 7h recommended). Take the time to discover the many beaches, isolated and uncrowded, that litter this course and stop at the island for a bath of clay! You will follow the rhythm of the water while passing by the Gorges of St Gély. Small rapids and planted trees will immerse you in an adventure atmosphere in the countryside. You can take your picnic, recharge your batteries and enjoy a moment of relaxation. April-October: Meeting at the base of Goudargues, in the Village Center. Departure every 30 minutes, every day. Return at your convenience ! June-July-August: Meet at the base of the Pont du Courau in Saint André-de-Roquepertuis. Immediate departure. Back at your convenience.